Hi Marco, thanks for agreeing to do this feature can I start by asking you when did you write the song ‘Emotional’? I wrote ‘Emotional’ a couple of years ago. One morning I woke up early because I didn’t slept very well, and when I went into my living room I saw my weissenborn. I began playing it and everything felt very very free, I really connected with my feelings inside and that came through into my playing. I had already decided with along with my producer that I was going embark on a new lap steel project and wanted to make videos for each song on the project. For this song ‘Emotional’ we decided to go and record the audio track and video in this amazing live club called REC. Everything inside the building is hand made and you can really feel the passion in the air for art here. I ended up recording the track live here as well as recording the video live too. What tuning did you use on the song? Very simple tuning just standard open D (DADF#AD). Tell me why you called the song ‘Emotional’? The reason is very simple. When I wrote the song that morning I did so without thinking about it, I just let my feelings come out. I touched some very emotional part of my life deep inside. The song is very simple and uncomplicated but it’s real and true and brings out the emotional side of me. 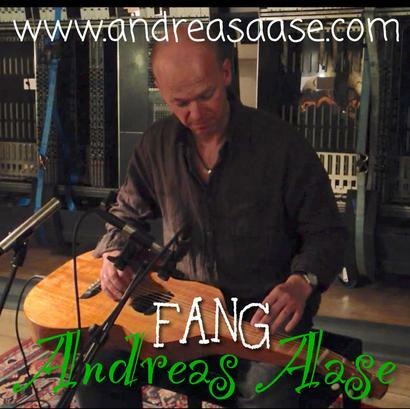 What Weissenborn guitar did you use to record the song? Weissenborn that suits my needs. How long have you been playing the Weissenborn? How did you learn how to play the Weissenborn? Honestly I never studied playing the Weissenborn. I played lap steel guitar for a long time in blues style. I studied and practiced the Lap steel style during my several trips to the USA, I’ve done a lot of work out there. I have been lucky enough to meet and play with a lot of great musicians some of whom played the Weissenborn. I love playing the Weissenborn but basically learned to play it on my own. 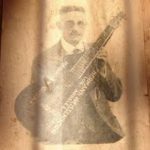 I already had some technique through playing lap steel which helped a lot as they are very similar but as for playing the Weissenborn everything I learned was from myself. Who are you favourite Weissenborn artists? I think Jerry Douglas is my favourite Lap Steel/Weiss player. I have had the pleasure of corresponding by email with Thomas Oliver. I think he is the best player around at the moment for weissenborn. Do you play the song ‘Emotional’ live at gigs? Absolutely yes. I play a lots of gigs per year, and very often I play ‘Emotional’ live. I’ve done several concerts for the “Marco Bartoccioni Steel project”, and very often I have played as a guest in different events as the Weissenborn is still very usual here in Italy. It’s very important for me to play live, I love the studio work but playing live is very special and allows you to interact with the audience and I love the energy you feel from it. Have you recorded any other Weissenborn songs? 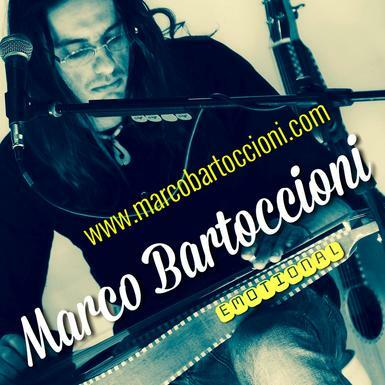 Yes, I recorded other songs for “Marco Bartoccioni Steel Project”. We just finished filming for my next video ‘War’. It’s a little different from ‘Emotional’ but very interesting. I have also recorded some other new tracks to but as I said before we want to concentrate on one single and one video at a time. The next single should be very soon. Are you recording a whole albums worth of songs for this ‘Steel Project’? Yes the “Marco Bartoccioni Steel Project” will be an entire album , probably around 10 songs all instrumental Weissenborn and pedal steel style songs. I’m not sure how many Weissenborn tracks will be on it because it’s not about the instruments used it’s about the music. Thank you Marco for talking to ‘The Exchange’ and I wish you all the best and until the next time goodbye. Many thanks to you Aron for doing this interview. It’s been a great pleasure and thanks for all your amazing passion and professional attitude with all you are doing on The Weissenborn Information Exchange.